Nuclear tests have caused and are still causing many deaths and making lands uninhabitable. Many peoples in the world have been victims of 'tests' carried out without their consents. 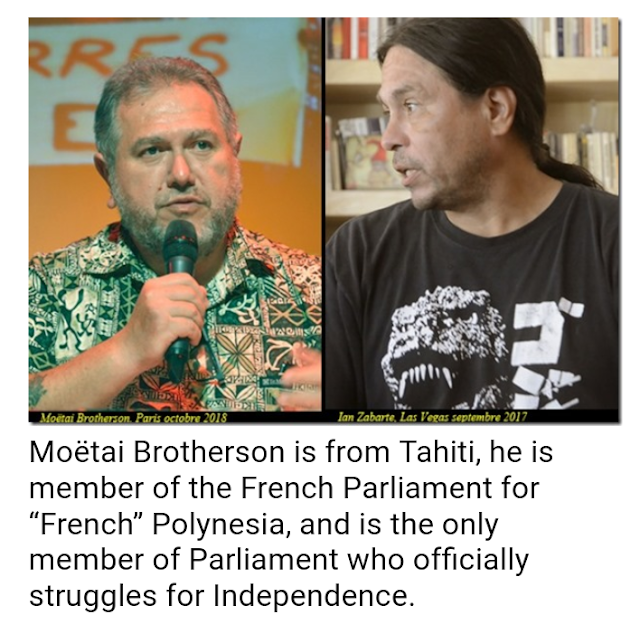 This article has been inspired by the stories told by Moëtai Brotherson, a member of the French Parliament from Tahiti (Paris, October 2018), and Ian Zabarte, Principal Man of the Western Shoshone Bands from Nevada (Las Vegas, September 2017). They both have decided to prosecute the French and US governments respectively, to have the consequences of nuclear tests officially recognized as genocide. Mr. Zabarte tries to have the genocide of his people recognized by the UN, Mr. Brotherson filed a complaint with the International Court of Justice. Mr. Brotherson is the only member of Parliament who is an independentist activist. +American nuclear tests in Nevada started in January 1951. 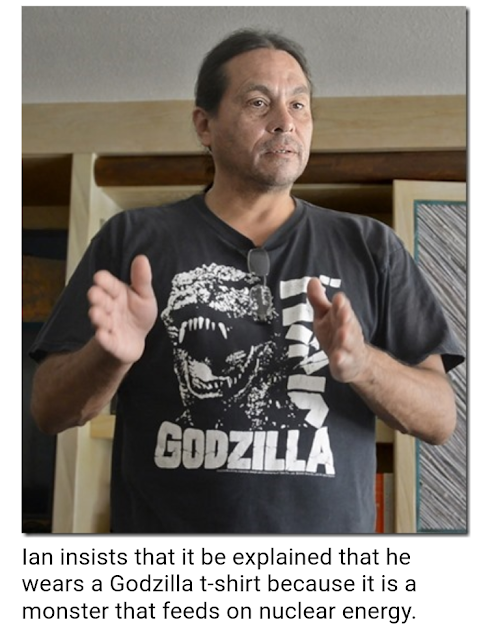 The very first bomb had exploded in New Mexico – in an unpopulated area, according to official media, but not far from the Mescalero Apache Reservation – on July 16th, 1945, only a few weeks before dropping the bombs on Hiroshima and Nagasaki. They also started with nuclear tests on Bikini, in the Marshall Islands, in 1946. Strangely enough, instead of causing protests and fear, it mainly gave a name to a new fashionable bath suit and to a silly popular song. Before the first test, the US authorities evacuated the Native population of Bikini, claiming that they could return soon. Bikini is still uninhabitable right now. 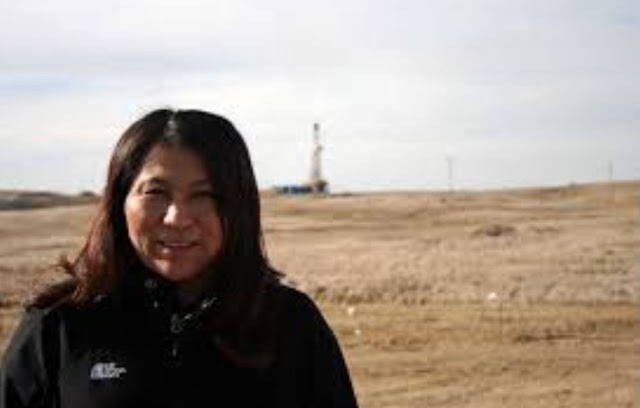 In Nevada, tests did not take place "in the Desert", as media still claim, but in Shoshone territory. Over 1000 bombs have exploded there, between January 1951 and September 1992. Of course, the Shoshone population has been decimated. Further, the Mercury test site is hardly 70 miles (115 km) from Las Vegas (there is also a Paiute reservation between Las Vegas and Mercury). +The French nuclear tests started in Reggane, Algeria, Tuareg Territory, from 1960 to 1961. Four atmospheric tests happened there. From 1961 to 1966, 13 underground tests took place in In Ecker, also in Tuareg Territory. Algeria became independent in 1962. The French managed to get in the Treaty that they could go on with nuclear tests until 1967. Thus, as soon as 1966, they started to explode nuclear bombs in 'French' Polynesia, in Mururoa and Fangataufa. From 1966 to 1974, 46 atmospheric 'tests' were carried out, and from 1975 to 1996, 147 bombs were exploded under Mururoa and Fangataufa. Major media still fail to report about the damages caused to Indigenous Peoples and their territories. Even nowadays, many decades later, they only mention White victims, or otherwise claim that nuclear tests were carried out in 'deserts'. In a rather recent historical program, a French public radio – France Culture – claimed that the Trinity bomb – the first nuclear test ever – took place in the New Mexico Desert, "an uninhabited region"; that the US tests have been carried out in the Nevada "Desert"; that the French nuclear tests in Reggane, Algeria, did cause health problems and death among French militaries and their families, drafted soldiers (which is indeed shocking) and traders who followed the militaries, but they still don't say a word about the Indigenous Tuareg population in Reggane and In Ecker whose territory it is. +It has been a bit different for "French" Polynesia. Protesters immediately expressed support for the Indigenous population. The reason might be that nuclear tests in Polynesia started during the Vietnam War, when all peace activists in the world were in the streets demonstrating to support the Vietnamese people and were thus conscious of the existence and plight of Indigenous Peoples. A poster, widely spread in the late 1960's, showed an image of Death with the hair and flowers of a Polynesian woman. However, it was not enough to make them stop the tests, repeated complaints by New Zealand probably had more effect. The attitude of the media is still obviously racist. Mr. Brotherson reminded us that "French" Polynesia, just as Kanaky ("French New-Caledonia"), was on top of the first list of the United Nations of territories to be decolonized, established in 1946. In 1963, Polynesia has been illegally removed from the list following a request by the French Ministry of Foreign Affairs. In 2003, France took the opportunity of changes in its Constitution to replace the word "Peoples" by "populations", concerning its overseas colonies – which it does not recognize as colonies, but as French "provinces". This allowed France to sign the UN Declaration of Indigenous Peoples Rights, without respecting it, as "there are no Indigenous Peoples in French territories"!